Michael Silberling grew up in Northern California, and since completing his college career at UCLA, he has traveled to every corner of the globe, working his way up the ladder as a casino executive. In 2014, he accepted the position as CEO with Affinity Gaming and rented a single-family home. 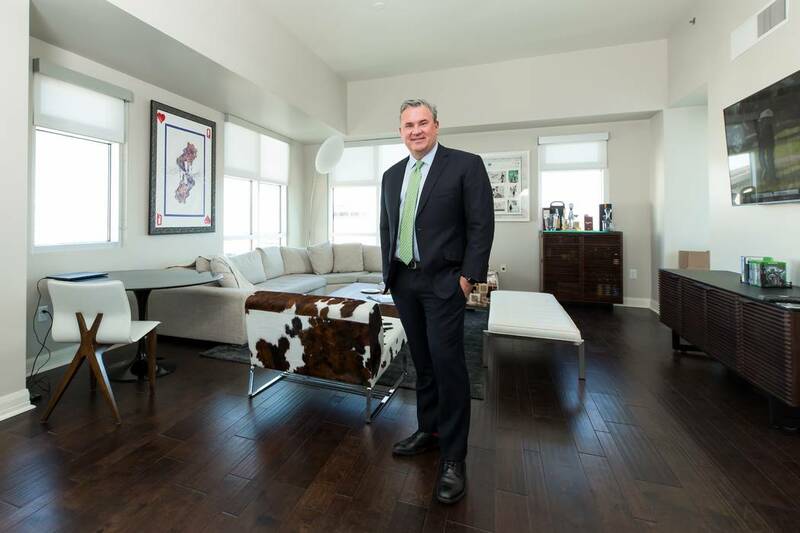 In October, Silberling purchased a spacious three-bedroom residence with unparalleled views of downtown Las Vegas and the mountains. He enjoys the walkability to popular eateries like Carson Kitchen, publicUS and Flock &Fowl, which recently opened on The Ogden’s ground floor. Silberling also frequents such attractions as Container Park and The Arts District and is a season ticketholder at The Smith Center. “I still travel a lot for work, so I love knowing I can leave for days at a time and come back to my home, with the comfort of knowing that it will be exactly as I left it. It’s also great to receive genuine and reliable customer service from the concierge team, who I can count on when I’m expecting important packages. I also enjoy using the state-of-the-art fitness center and cooling off in the pool, which I appreciate even more because I don’t have to maintain any of it myself,” Silberling said. He said he knew The Ogden was going to be home for him when he walked through the front doors and was overwhelmed with a unique sense of belonging and community. “I feel fortunate to be able to say I live in this iconic city. As a seasoned casino executive, it’s especially gratifying to be able to say I live on Las Vegas Boulevard, of which many of my colleagues around the world can only dream (about). And not only am I a resident of this growing city, I’m deeply rooted in its evolution. 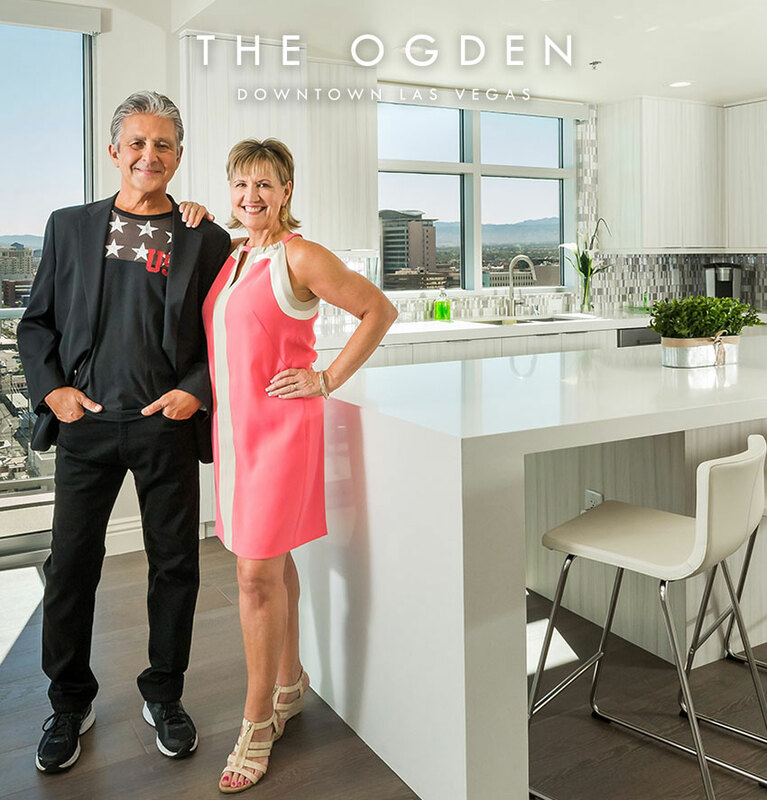 It’s a wonderful time for downtown Las Vegas, and it’s an honor to witness the city’s revitalization and renewed energy as a member of The Ogden family,” Silberling said. Since acquiring The Ogden in 2013, DK Las Vegas has made a $2 million investment to remodel the lobby with high-end design treatments to create a sense of luxury and arrival; added new upgrades throughout all residences, including new lighting, hardwood floors and stainless-steel appliances; and enhanced amenities such as a Sky Deck, social lounge, fitness center and renovated the rooftop pool. The Ogden, which is over 70 percent sold, offers flexible financing options, including Veterans Affairs- and Fannie Mae-backed loans, making it easier for homebuyers to lock in their dream homes. Available homes at The Ogden range from a two-bedroom, 1,180-square-foot residence priced from the high-$300,000s to a three-bedroom, 1,706-square-foot home starting in the high $400,000s. The Ogden’s single-story, open floor plans offer flex spaces that can serve as a home office, den or yoga room, extra bedrooms for accommodating multigenerational family and guests and expansive windows that fill interiors with natural light.